Re: RIP Stan Lee - Excelsior! I really want to say something meaningful, but all I can say is thank you Mr. Lee. So farewell, Stan Lee, the man who gave this world so many of its greatest and most instantly-recognisable heroes. A man whose personality and shameless love of self-mockery was as vast as his imagination; a man who never stopped insisting that the good guys can win. He lived long enough to see his creations become the foundation stone of one of the biggest cinematic phenomena of the early-21st Century, something that even the greatest franchises would try (and fail) to emulate. 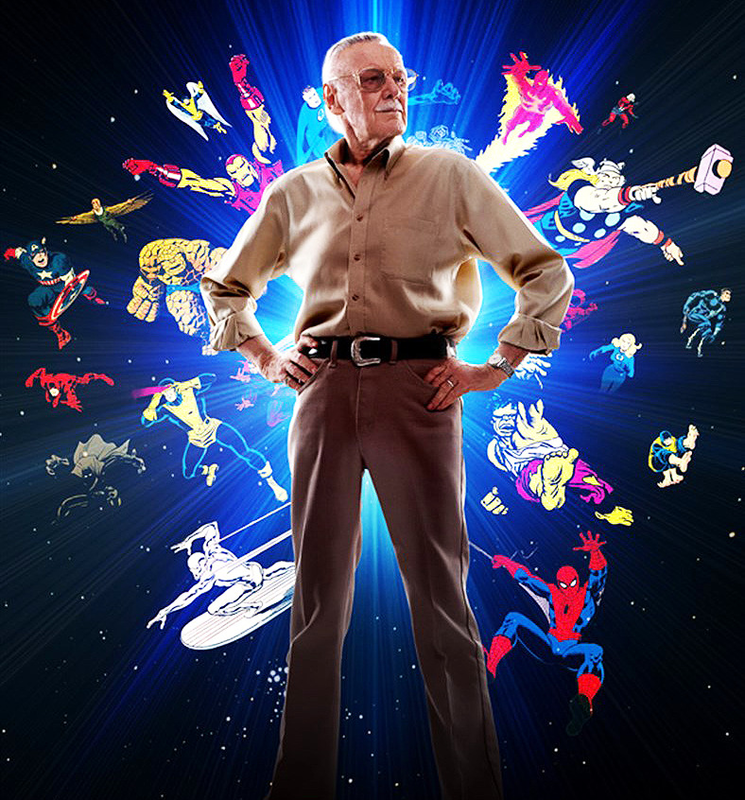 Goodbye, Stan and, always: Excelsior! Never been anyone like him and there never will be. And for once, a celebrity we can say didn't die way too young. 95 is a good long time for us to get to keep one of the greatest innovators in comic history around. At least on my local NPR, the story opened, "Stan Lee has died." I don't think I've ever heard a celebrity death story open that way before... either it opens with a blurb, or there's a blurb immediately after the name. On the one hand, I wonder if they thought it worked better after the opening sentence in this case, on the other hand, I wonder if it's a product of some intern writing the joke obituary, "Stan Lee has died - 'nuff said." So is Ant Man and Wasp the final film he appears in, or did they manage to shoot his cameo for Captain Marvel in time? Principal photography on both Captain Marvel and the next Avengers film wrapped some time ago, so I hope that his cameos for both were done. No, because of concerns for his health a couple of years ago Stan spent a couple of days doing cameos for more than a few films. Past Avengers 4 at least from what I understand.